The next Ocho field – El Bajío is being harvested and will be hitting the market in early 2019. El Bajío is located around 7km east of Jesus María town at 2,170 to 2,175 meters elevation. The field gently slopes from north to south. The name refers to land located in the lower part of a valley. 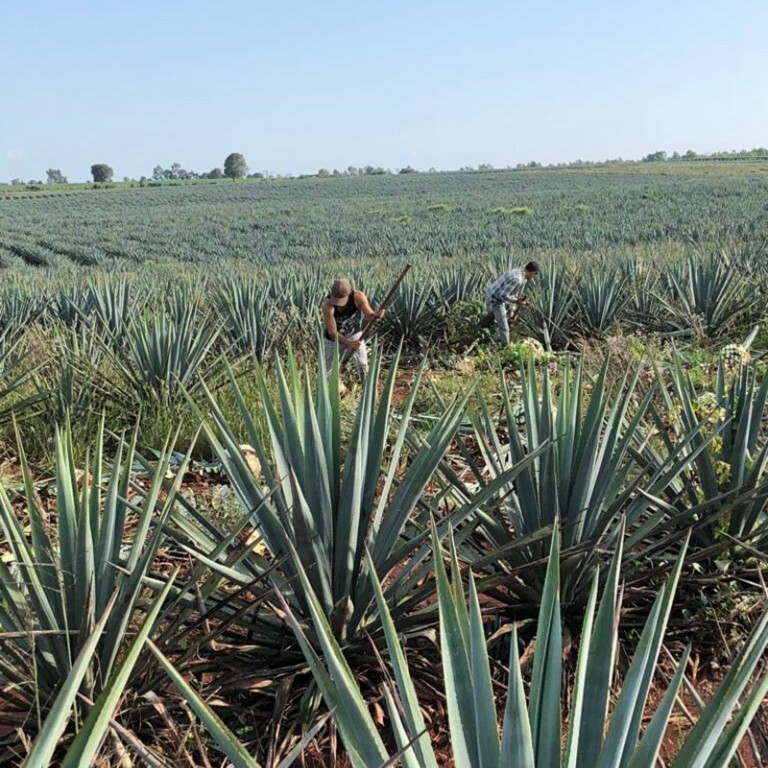 The agave harvested for this production was planted in 2012 & 2013 when the plants were one year old, therefore the agave was 6 & 7 years old at harvest and had an average weight of 20kgs with 27% sugar content. Palate – marzipan, vanilla, overripe pineapple, meat, salted caramel, white pepper, cinnamon, roasted almonds. 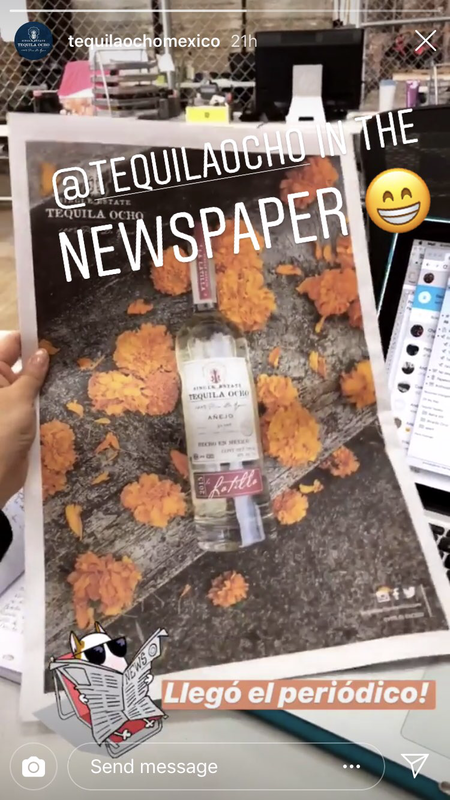 Tequila Ocho was included in KANPAi! Magazine’s Provenance Map Series. Click here to see map. KANPAi! 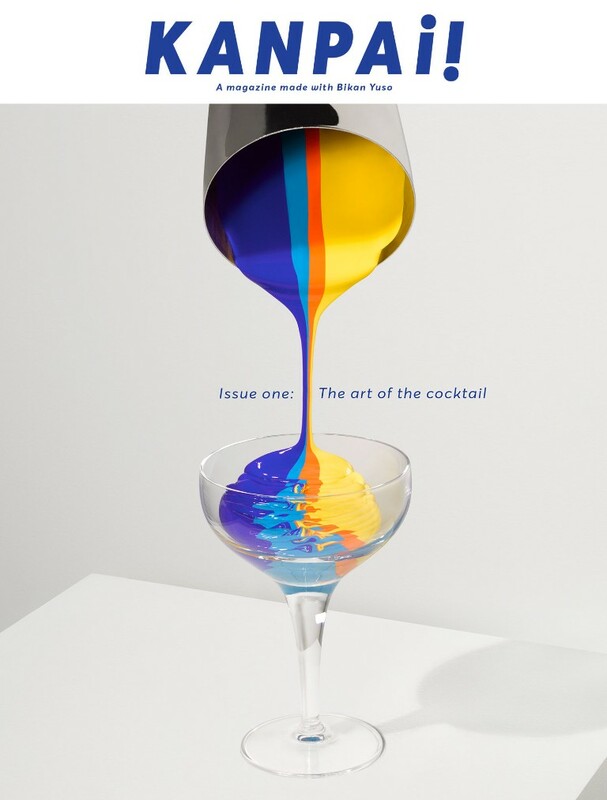 is filled with, and designed for, the industry’s very best talent – and celebrates their passion and work. 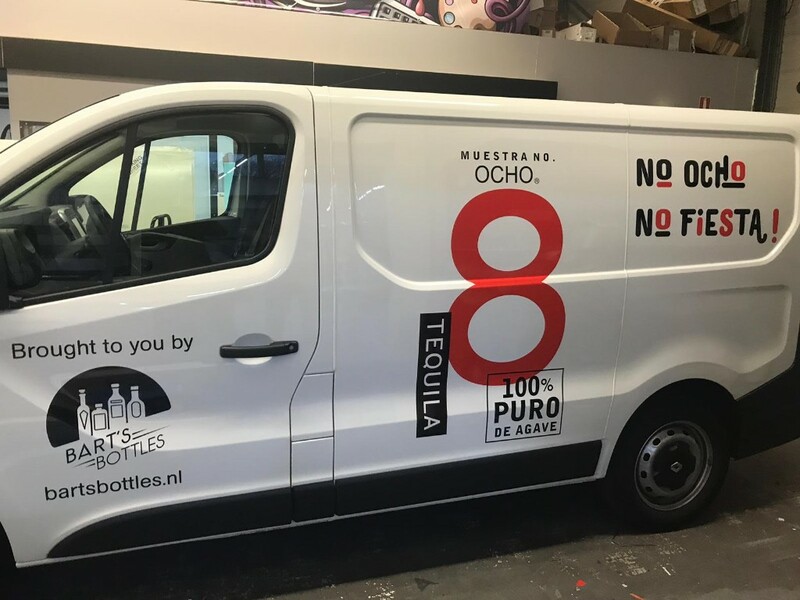 Bart’s Bottles, Ocho’s importers in the Netherlands, have a brand new van — check it out! Ocho was spotted in the newspaper in Mexico earlier this month. 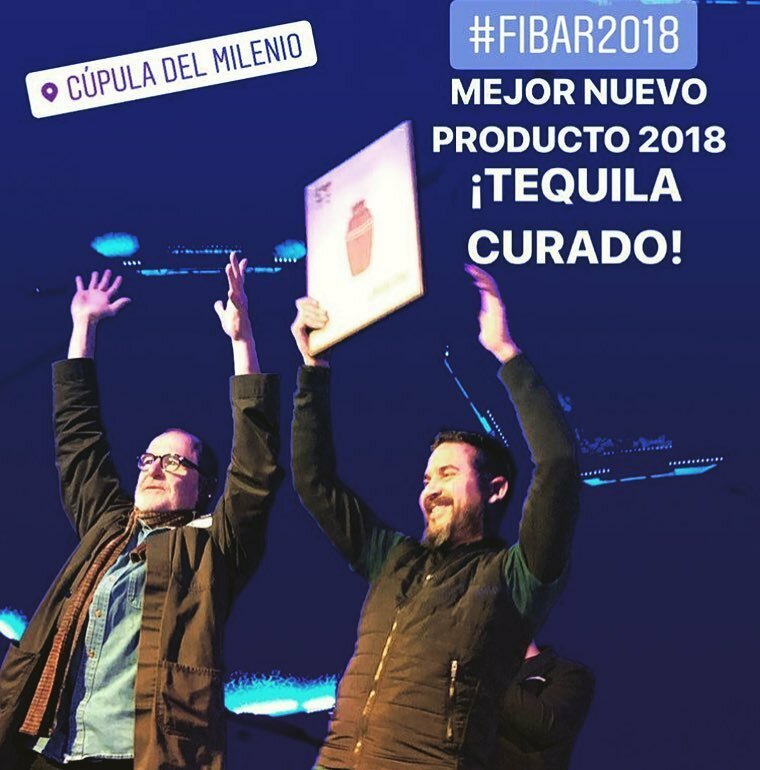 We are very proud that our sister brand CURADO Tequila won Best New Product this month at FIBAR 2018, Spain’s largest Bar Show. 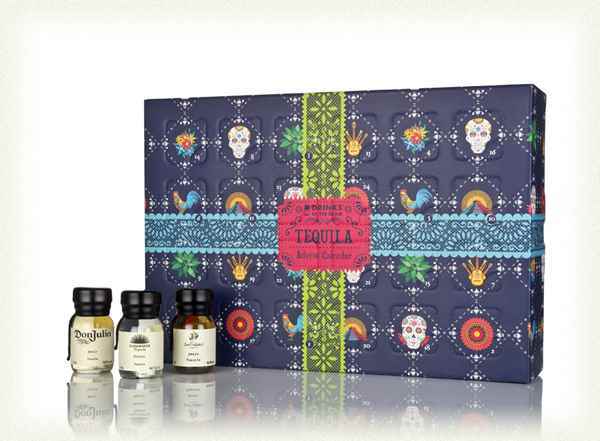 For the first time, Tequila Ocho is now available during the Holiday Season in the US in a Value Added Package. 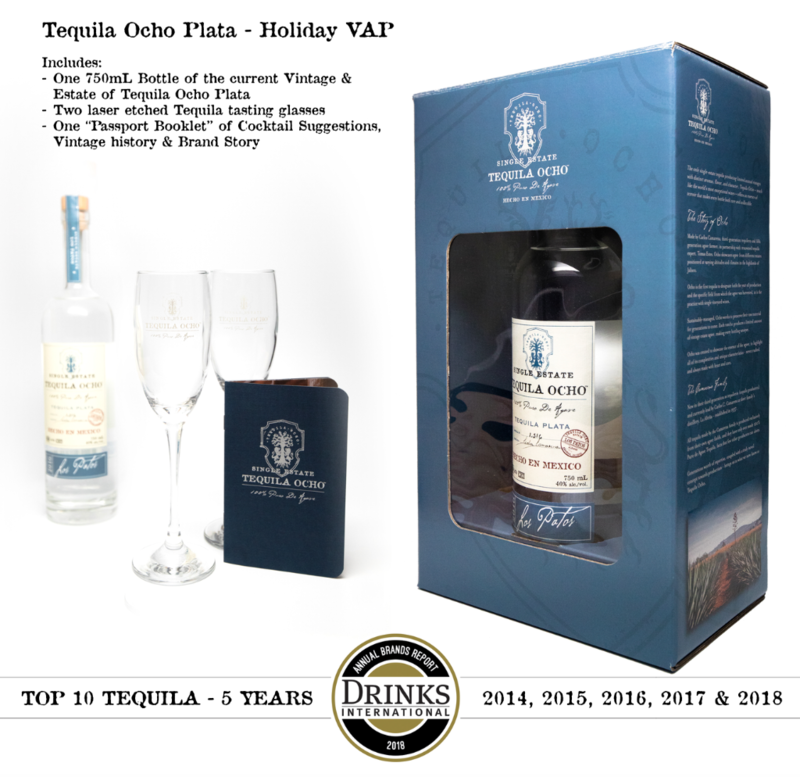 Consisting of two branded Tequila Tasting Glasses, an Ocho Field Guide with Cocktail Recipe Suggestions, and a bottle of the current Vintage and Estate of Tequila Ocho Plata. Ocho is also featured in Master of Malt’s 2018 Tequila Advent Calendar. 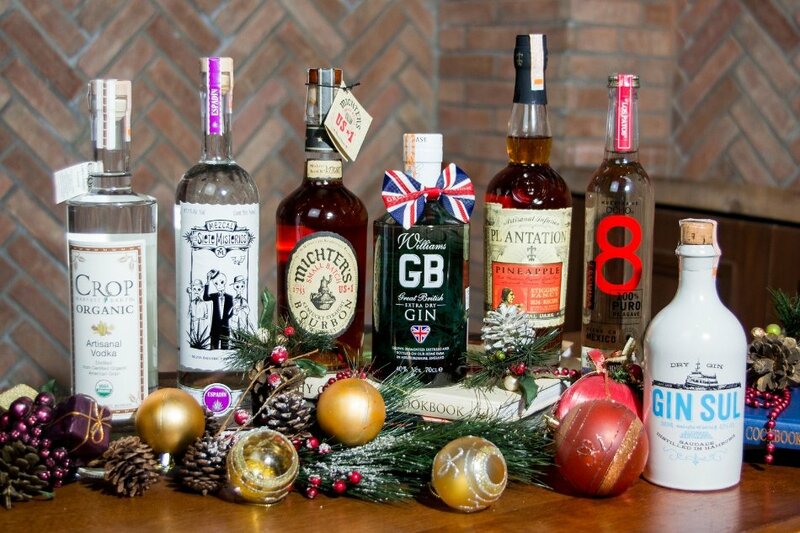 The calendar contains 24 samples of different agave spirits to lead you into Christmas. With the weather turning cold, we need a warming pick-me-up. 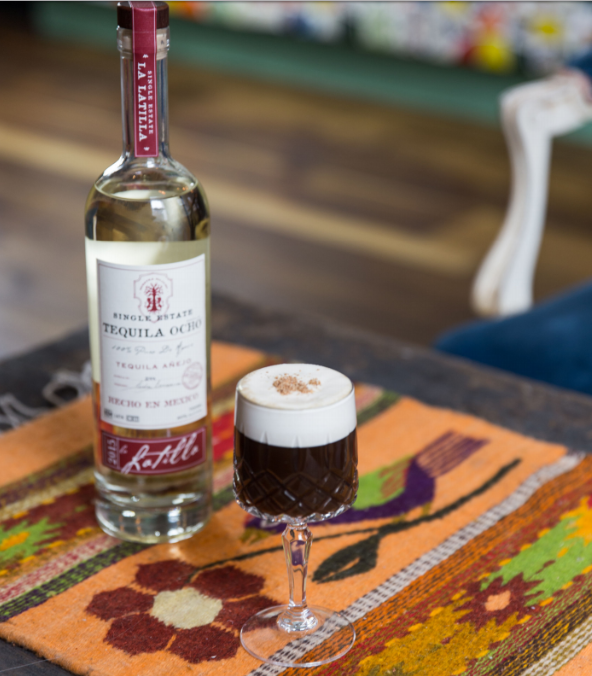 What better than a Cafe Pacifico, our twist on the Irish Coffee? Prepare small warm wine or ‘goblet’ glass. Add Tequila & coffee. Mix in the cinnamon and sugar. Float heavy cream on top of the coffee. Garnish with a sprinkle of cinnamon sugar mix* on top of a cinnamon stick. * cinnamon sugar mix is 4 parts granulated white sugar to 1 part ground cinnamon. Mix them together in a bowl.